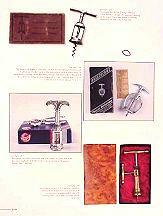 Boxes Full of Corkscrews by Donald A. 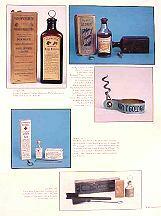 Bull is a photographic record of hundreds of corkscrews in their original packaging. 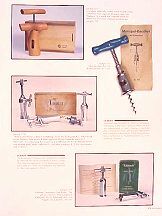 Here is an in depth look at corkscrews both old and new with details about manufacturers, trademarks, copyrights, and the like gleaned from the packaging and the objects contained therein. 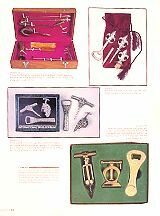 Collector Jack Bandy describes the task Bull has accomplished with: "Through hundreds of letters, personal contacts, visits, phone calls, faxes and e-mails, he's harvested invaluable background and historical data on many of these firms both extant and extinct, which adds further insights into the origins of many of our corkscrews. 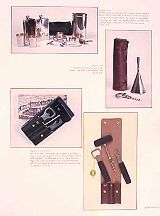 Throughout this book his 'Corkbits' tell these stories, and are gold mines for those of us with a passion for in-depth historical and source material." I had a lot of fun with this new book. 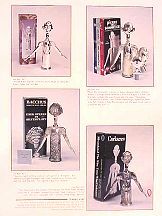 I traveled to Michigan and got boxes full of corkscrews to photograph from collectors Danziger and Roe and I was amazed at the lack of duplication between the two collections. 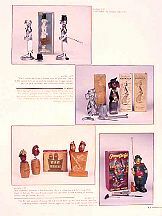 A trip to California was highlighted by visits to the Bandy and Sharp houses to photograph even more boxes full. A visit to Chicago resulted in some nice photos from the Britton collection. In Canada I got photos of MacLean's collection. 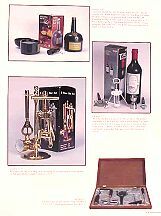 Then a bunch of corkscrews collectors including Anthony, Bystram, Cameron, Daniel, Dolliver, Donoghue, Goodman, Luterman, Roger, and Wlochowski boxed up their boxes full and sent them to me to photograph. 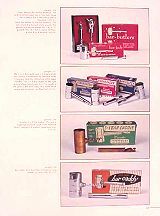 I shot all of those, added my own collection photos, and ended up with a whopping 836 color photographs and a wealth of information. 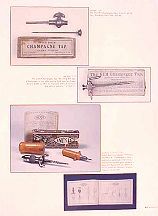 A lot of corkscrews that lost their packaging along the way, are now identifiable. Corkscrew orphans can now be matched up with their mates. 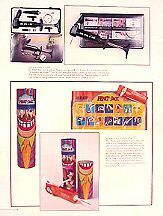 And a lot of information about origins, manufacturers, and histories has been revealed. I know you will enjoy perusing this book as much as I enjoyed writing and photographing it. 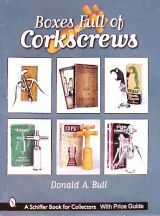 If you already have my The Ultimate Corkscrew Book or Bull's Pocket Guide to Corkscrews, you will find very little duplication - 95% of the boxes full of corkscrews were not pictured in the previous books. That's a bit about the book. You'll some page previews below. ·Large Format 9" x 12"